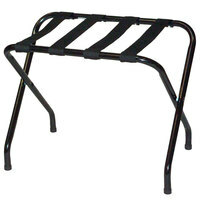 A hotel luggage rack is a simple but necessary item that keeps luggage off the floor and also makes it easy for guests to pack and unpack their suitcases. 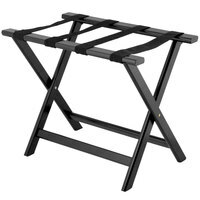 We carry racks with guards that make sure suitcases stay securely in place while simultaneously protecting your walls and furniture from scratches. 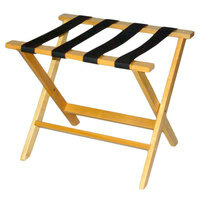 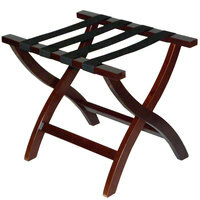 They are even available in different capacities, so you can find the luggage table that best fits in your hotel rooms. Also make sure to check out other great items from Lancaster Table & Seating and Central Specialties Ltd..
Keep guests from putting dirty luggage on the furniture in your hotel guest rooms or Airbnb with a folding luggage holder. 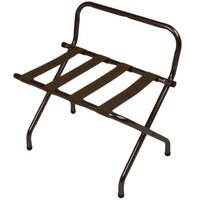 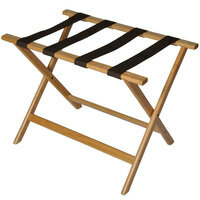 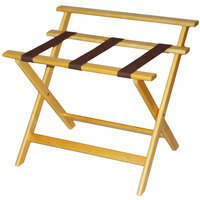 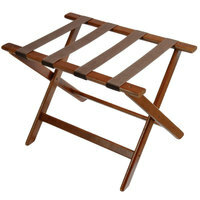 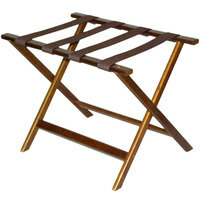 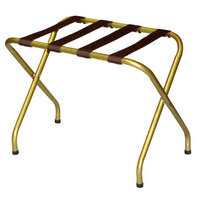 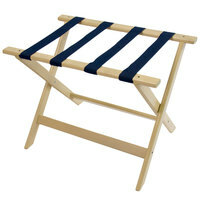 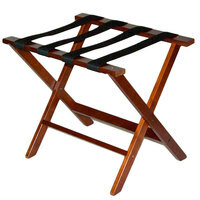 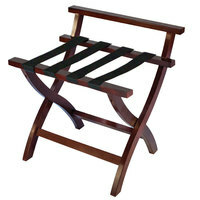 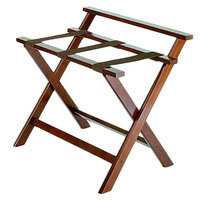 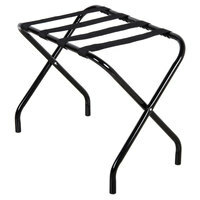 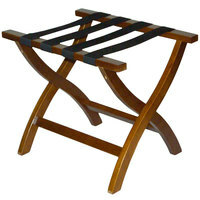 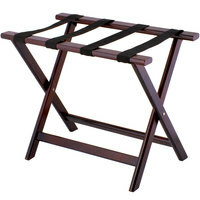 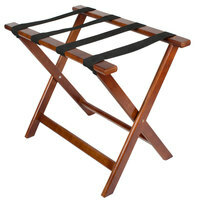 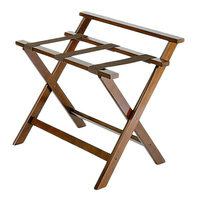 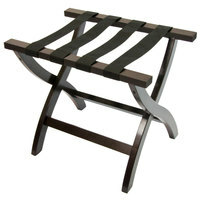 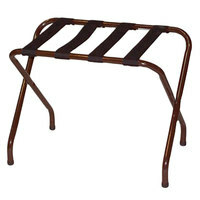 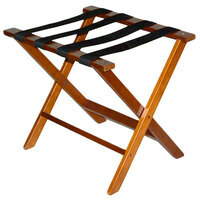 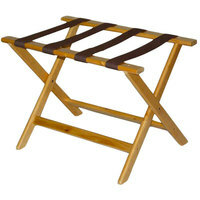 We carry racks in multiple colors and capacities, so you can find one that matches your guest room's needs and decor. 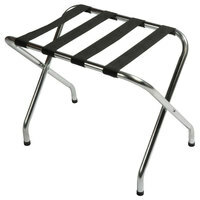 When customers don’t need it, simply fold up your hotel luggage rack and store it under the bed or in the closet so that it’s out of the way and ready for the next guest. 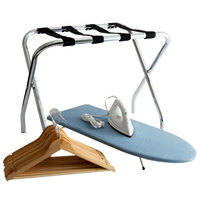 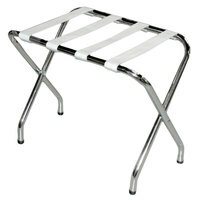 For additional hotel products, check out our service trays, room service tables, and luggage carts. 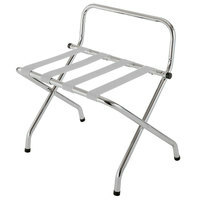 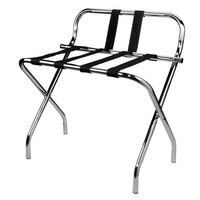 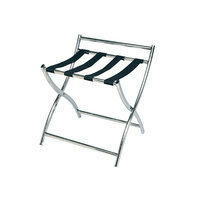 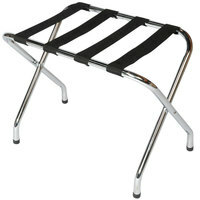 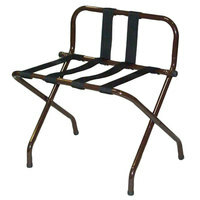 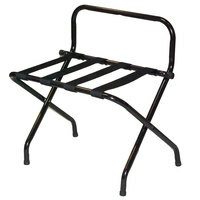 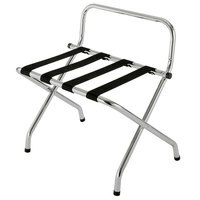 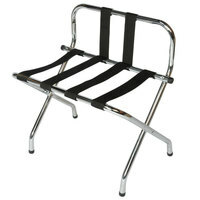 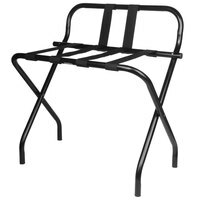 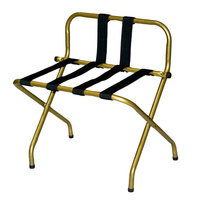 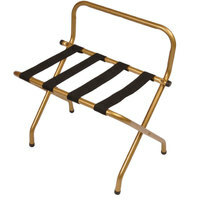 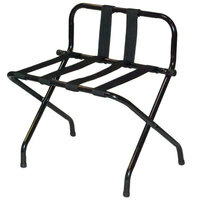 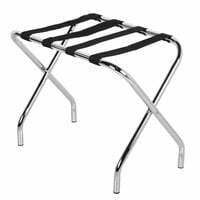 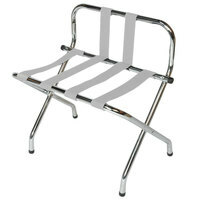 If you're wondering where to buy folding luggage racks and hotel luggage racks, we have a large selection of folding luggage racks and hotel luggage racks for sale at the lowest prices.